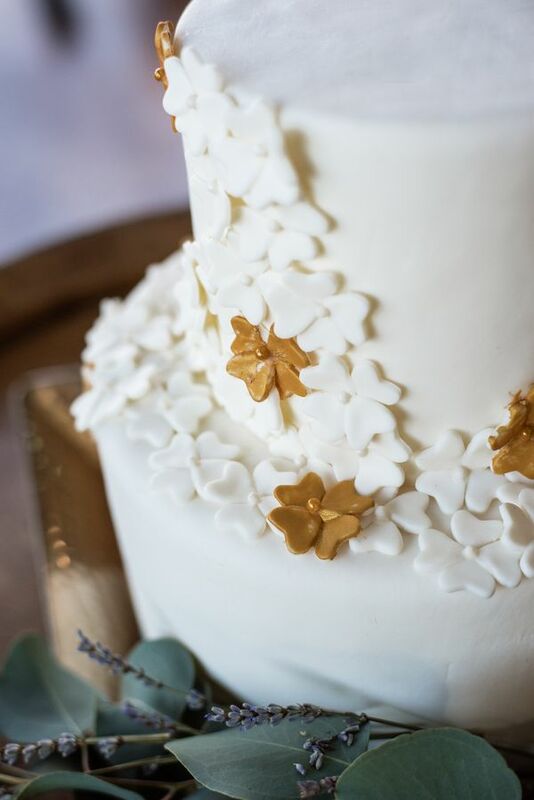 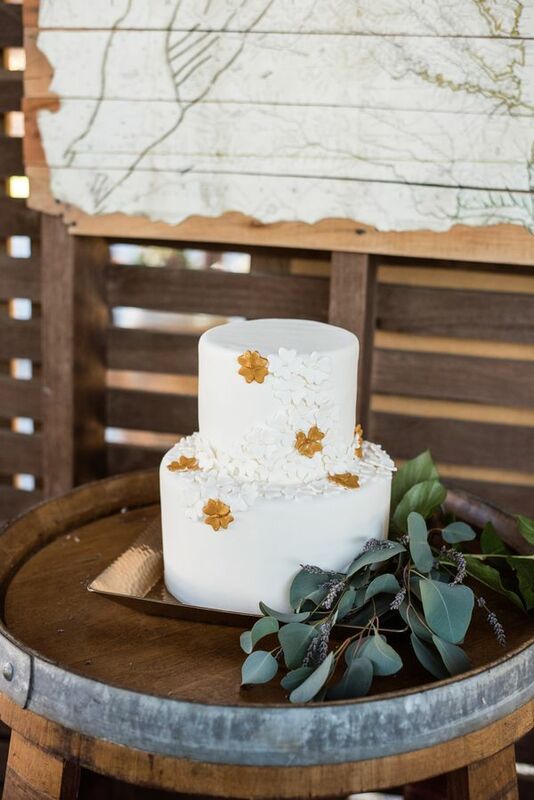 Have we got the sweetest treat for you in this wedding inspiration shoot from Emily Marie Photography. 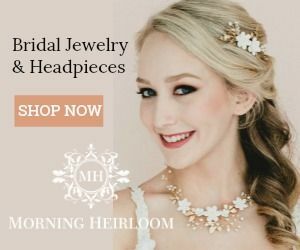 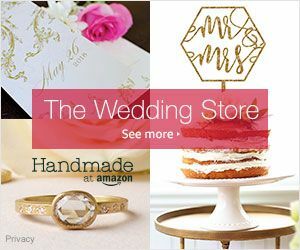 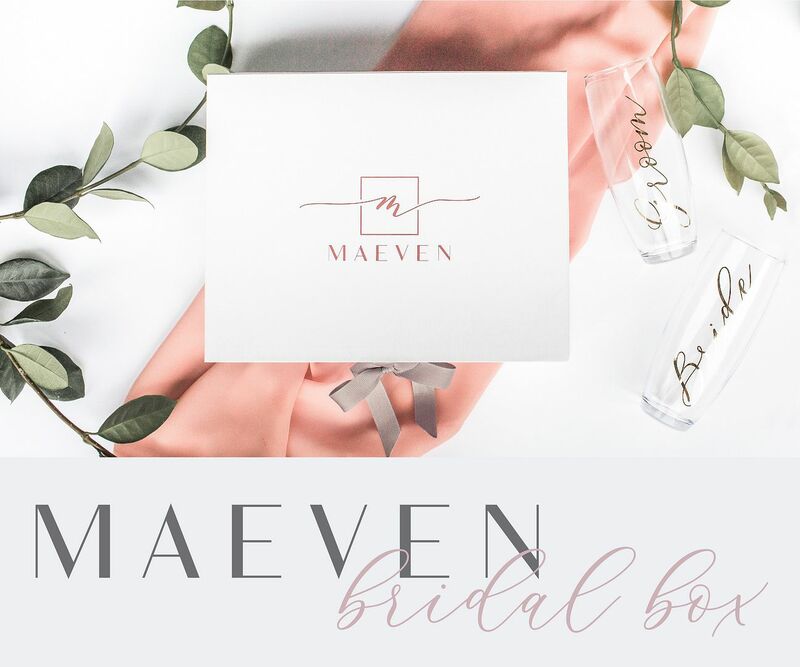 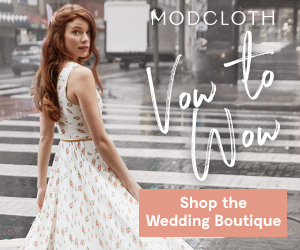 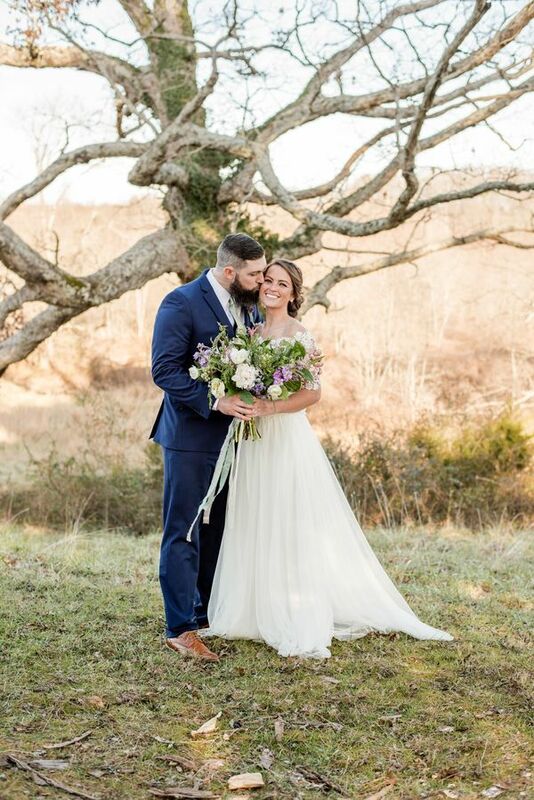 It is steeped in tender Irish wedding traditions and the gorgeous models are not only married, but they said their I Do's the day before the shoot was taken! 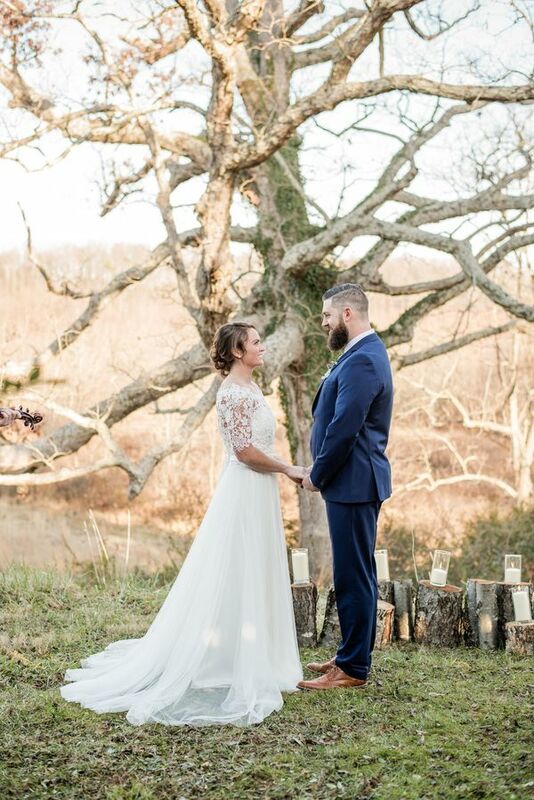 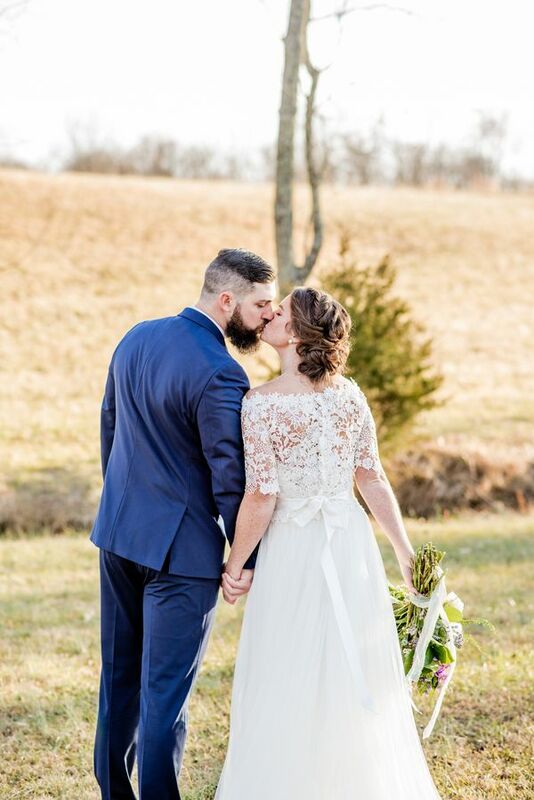 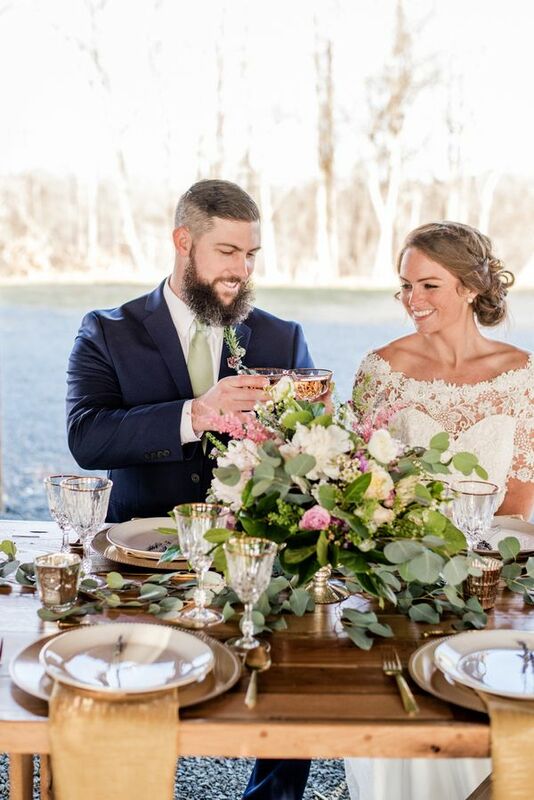 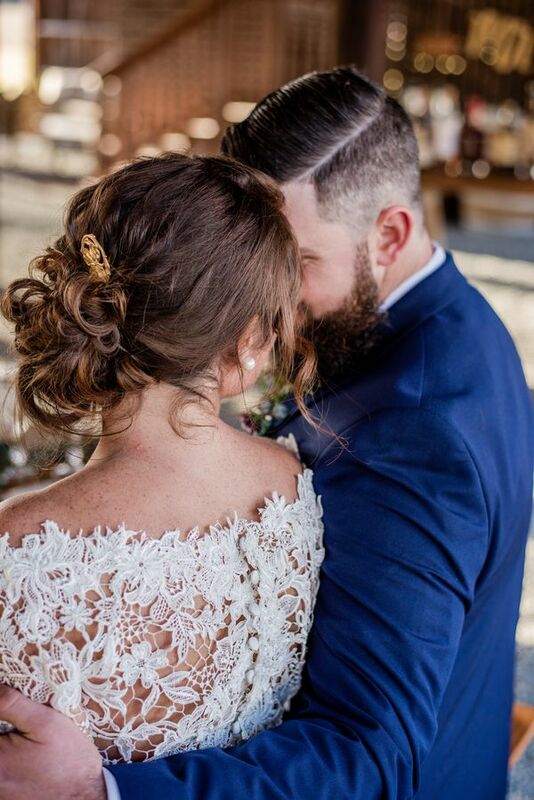 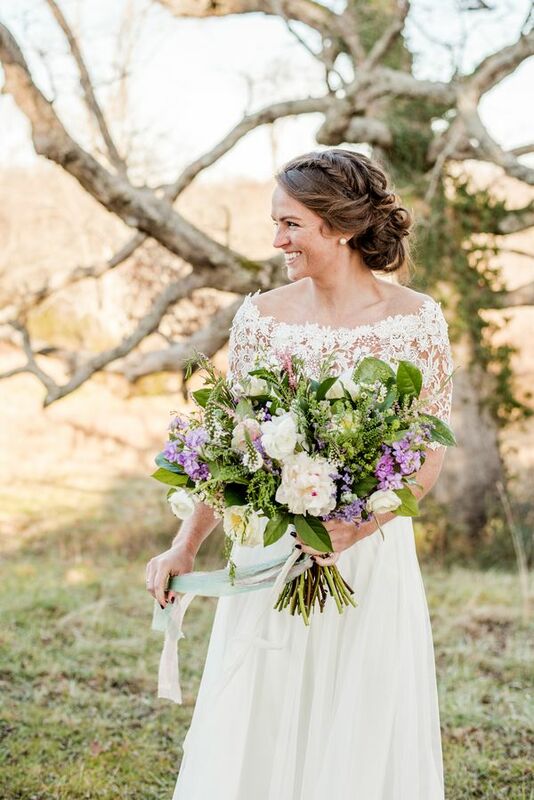 Love is certainly flowing all over the place, from shoot designer and decorator Bride and Joy's blissfully rustic styling that stood beautifully against the Virginian foothills to the big and blooming country-style florals from The Posey Detail. 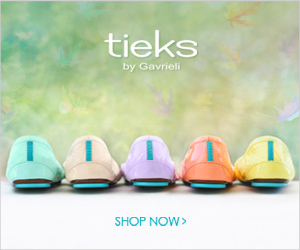 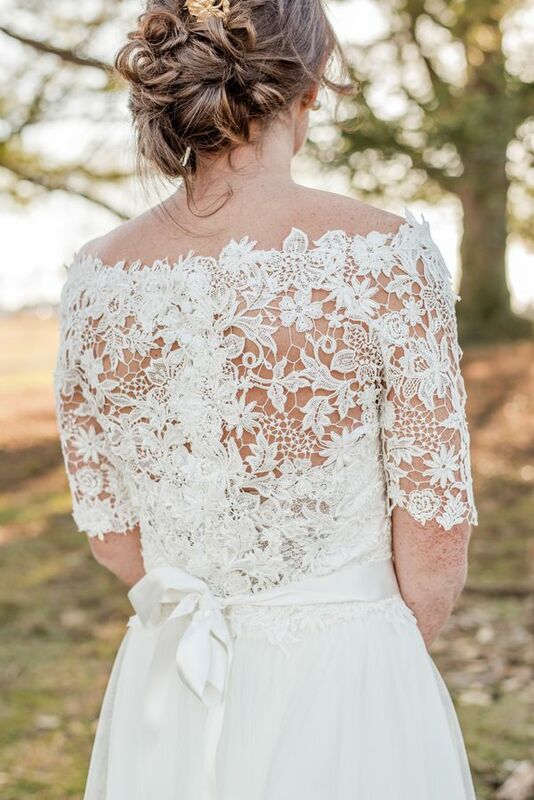 Our mouths have dropped since we saw this shoot grace our screens, and we haven't been able to pick them up since! 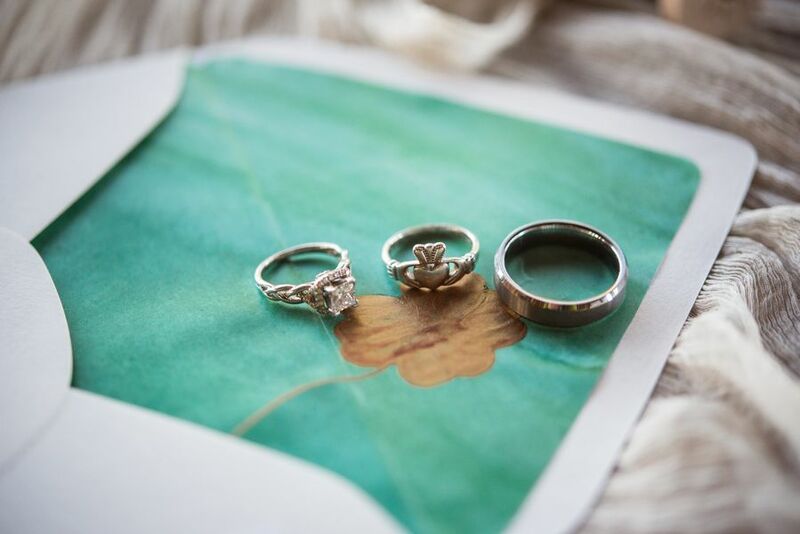 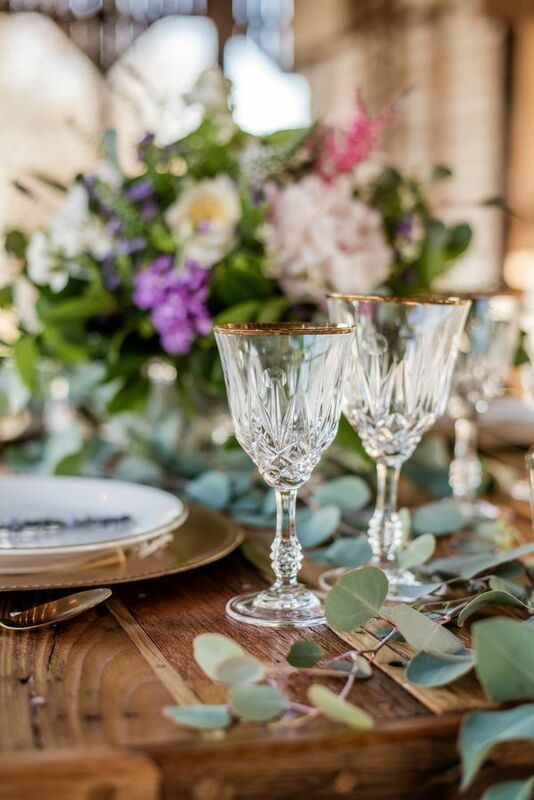 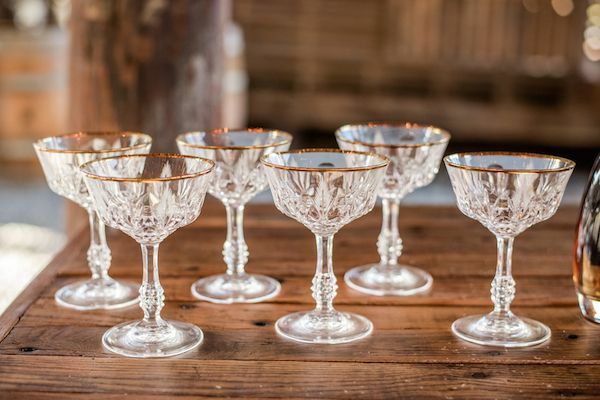 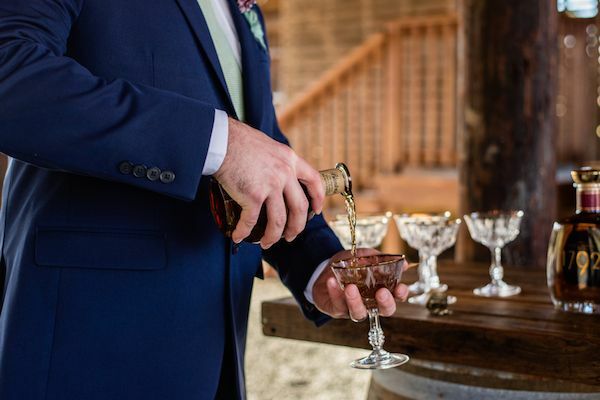 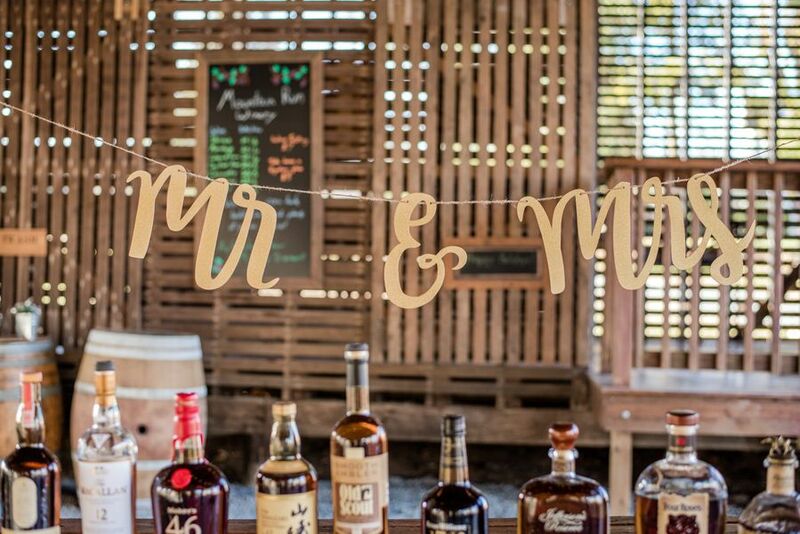 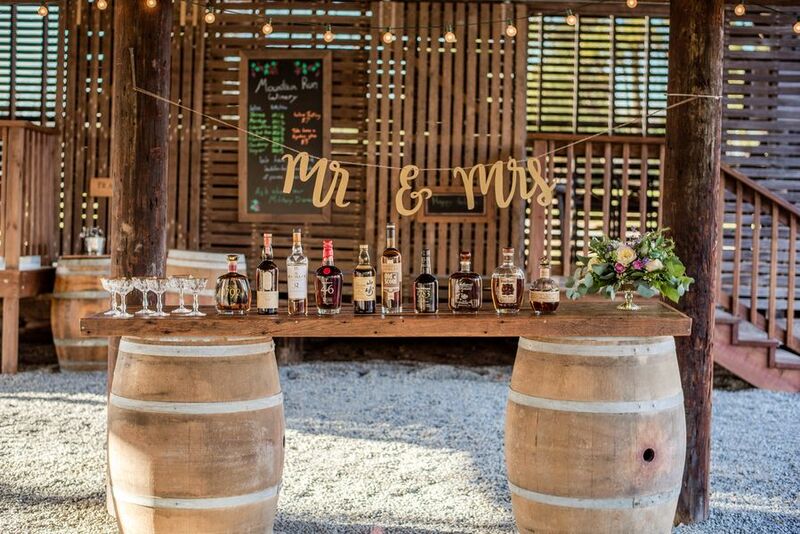 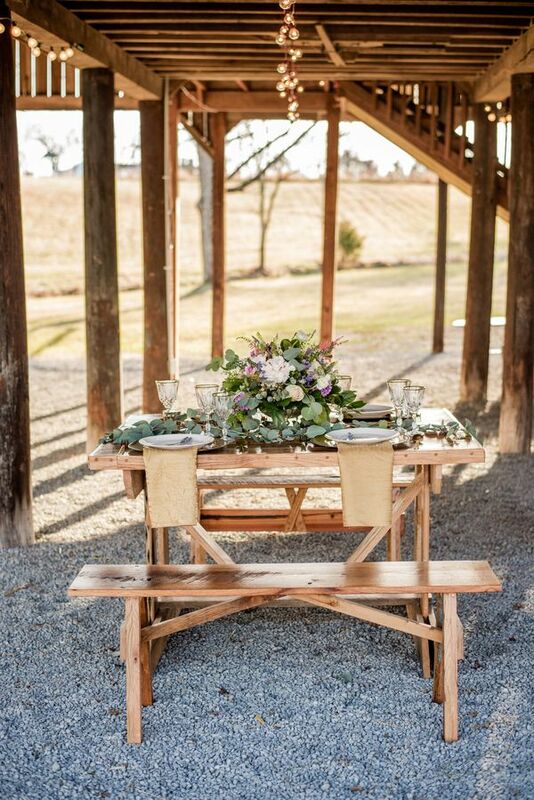 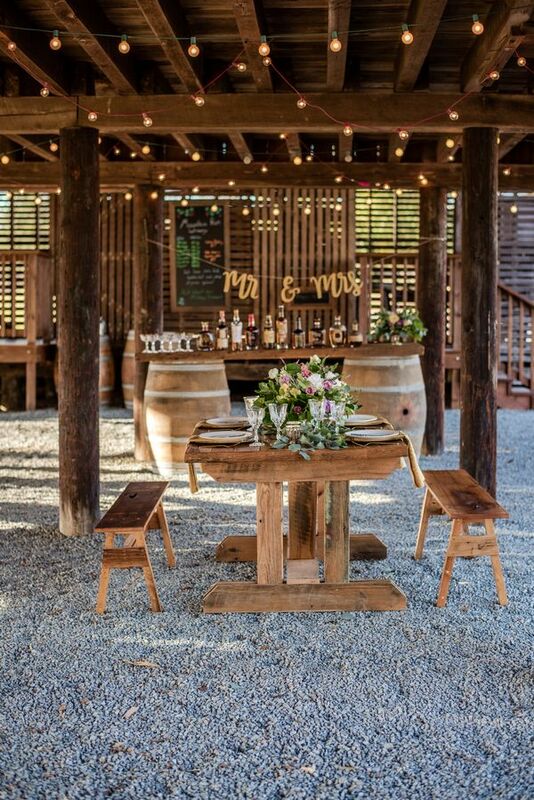 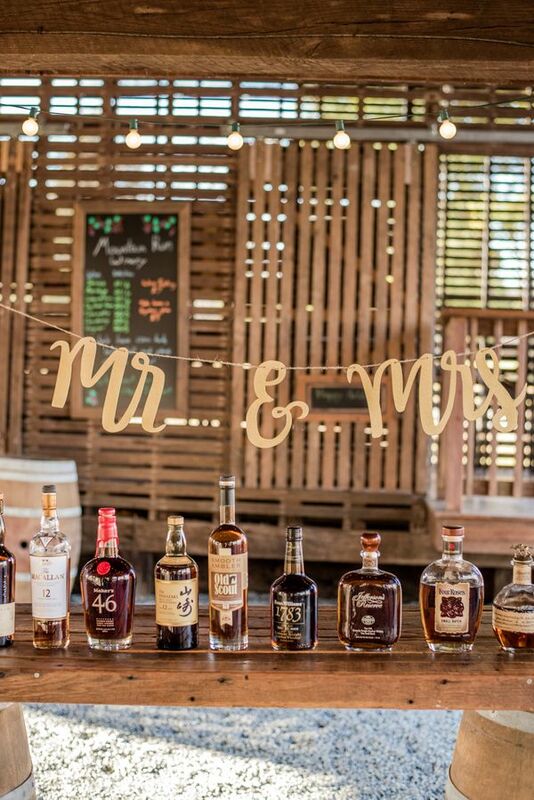 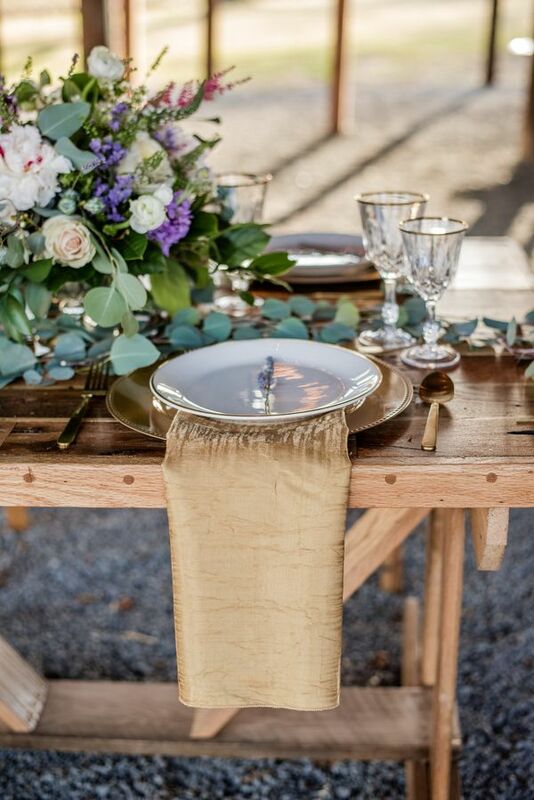 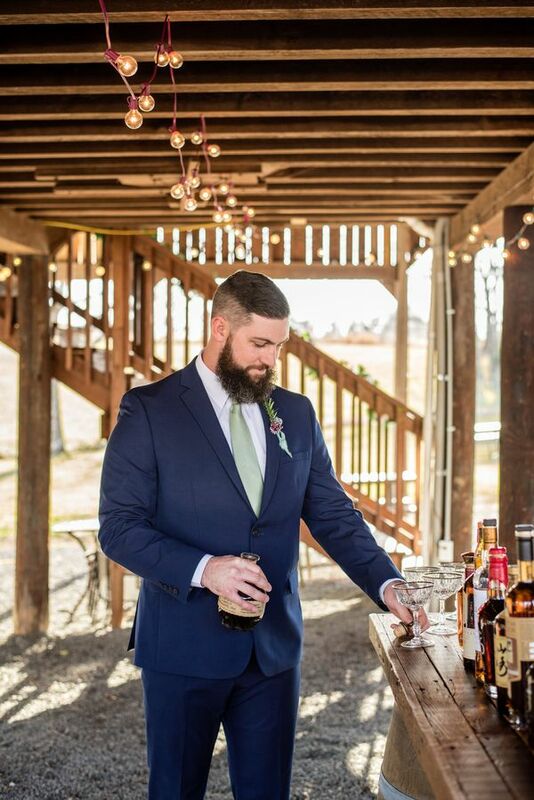 From the photographer, "Our styled shoot took place at the beautiful vineyard, Mountain Run Winery in Virginia. 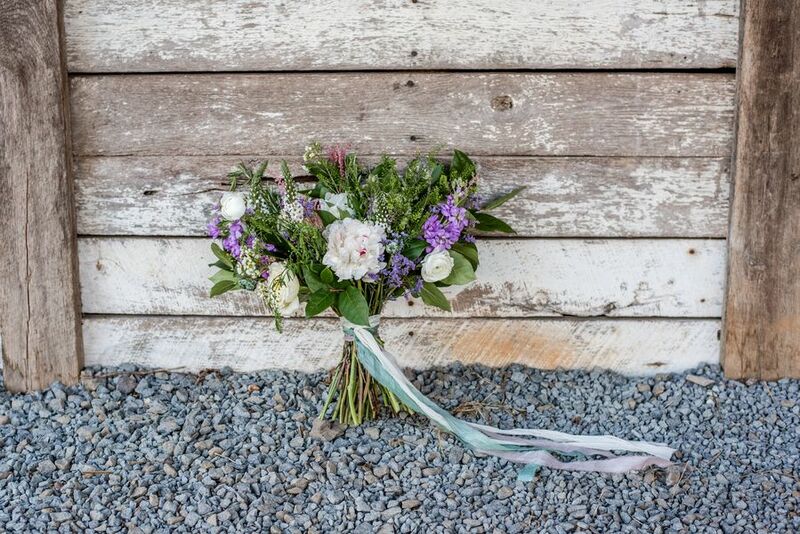 The rustic feel of the barn and gorgeous grounds were a perfect place for an Irish Wedding." 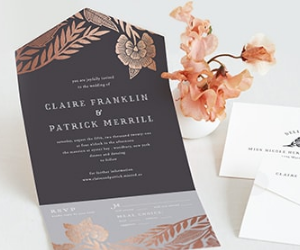 "Pineapple Street Designs designed an amazing suite that included lots of green and four-leaf clovers for the envelope embellishments. 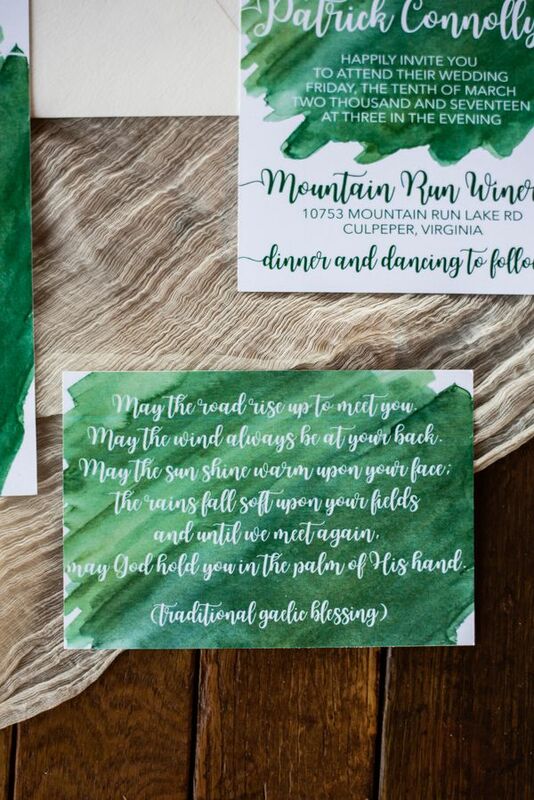 They also included the traditional Gaelic Prayer." 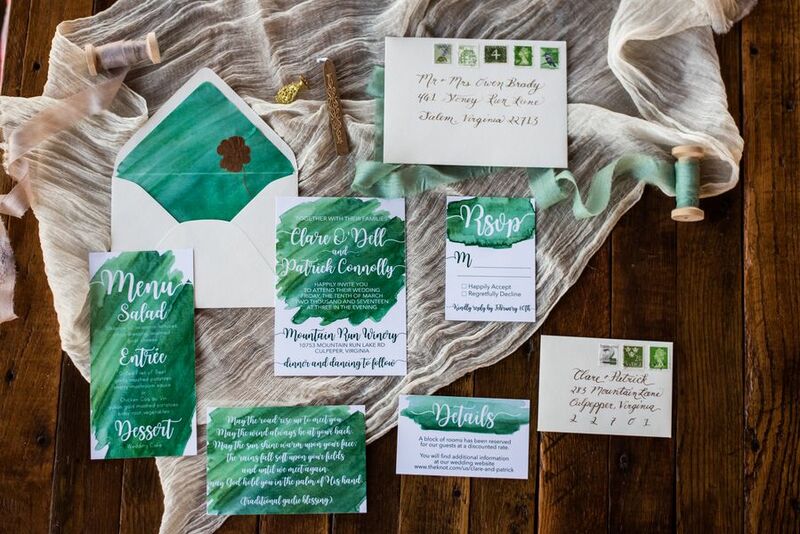 "The date on the invitations is significant because that was my grandfather's birthday, a quintessential Irish Man!" 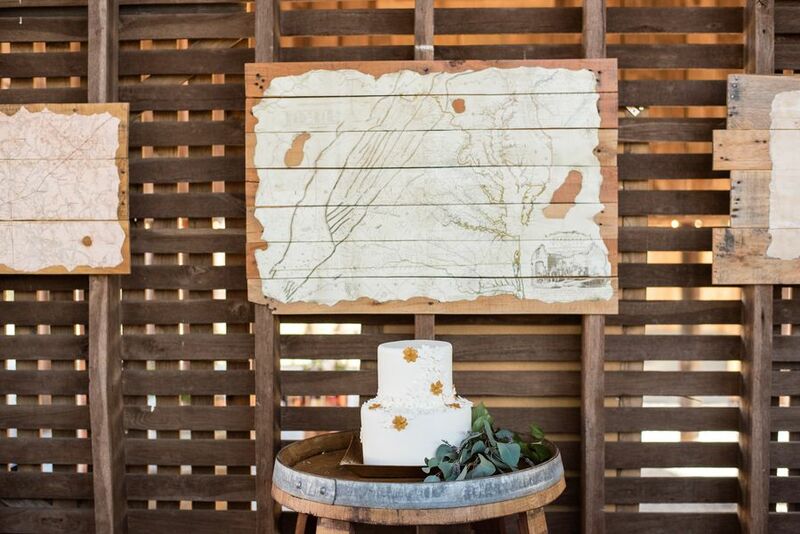 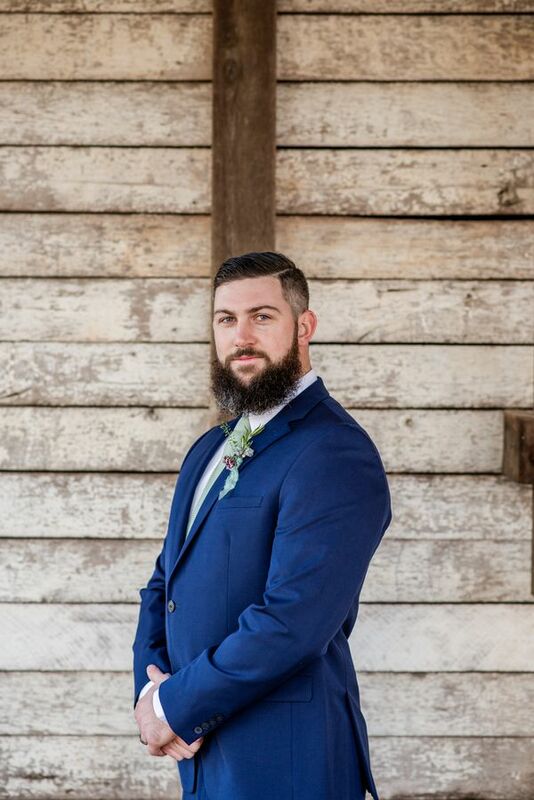 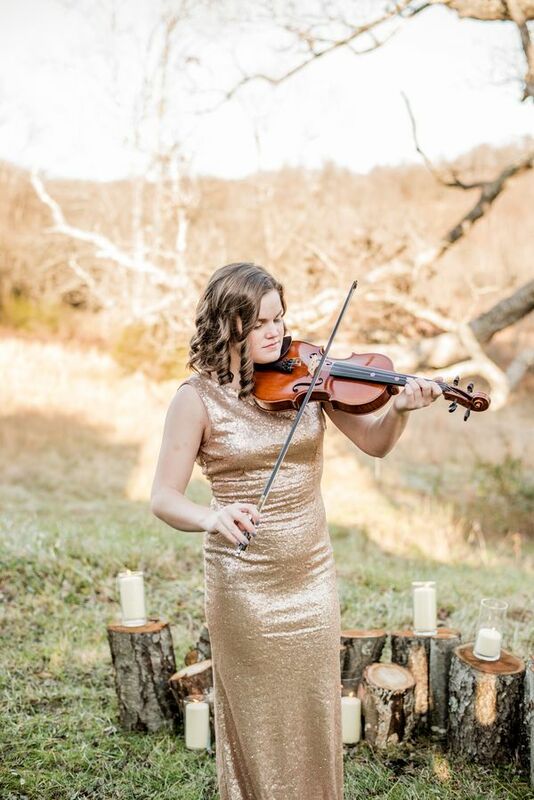 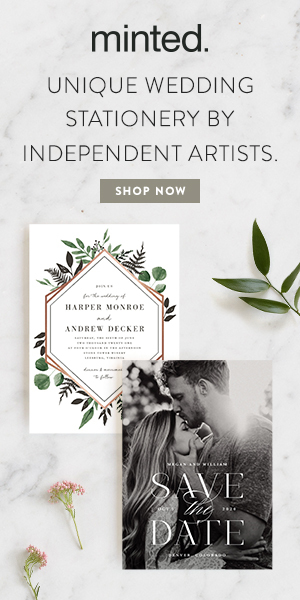 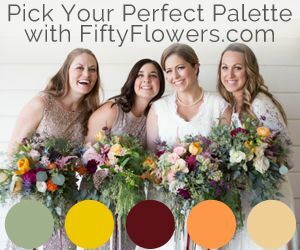 "Alyssa of The Posey Detail created the most stunning ceremony site! 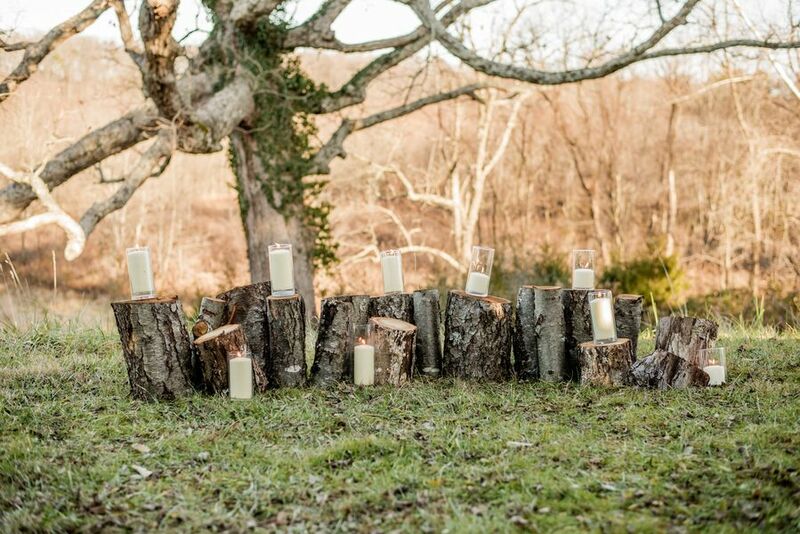 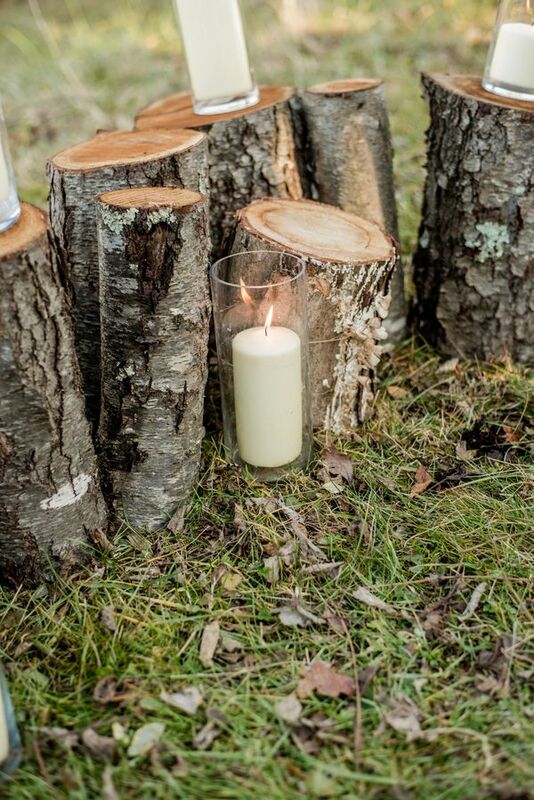 She utilized fresh cut logs, adding to the rustic feel of the shoot, while also keeping it classic with the white candles." 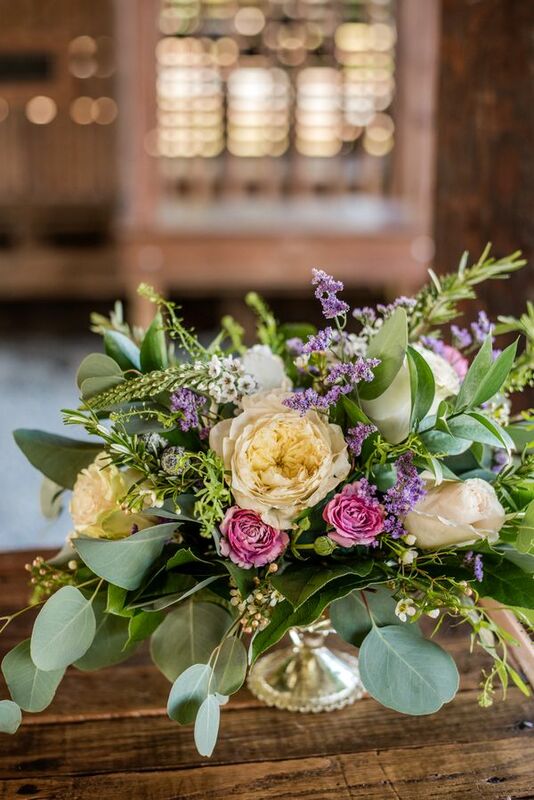 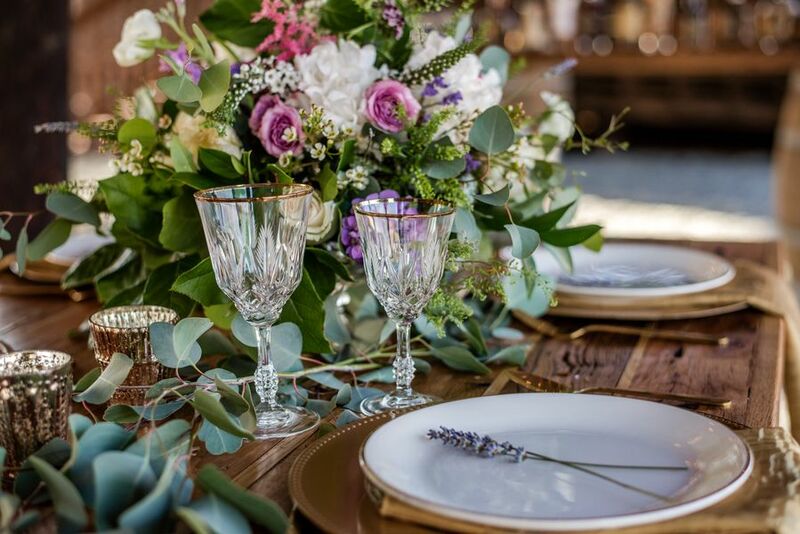 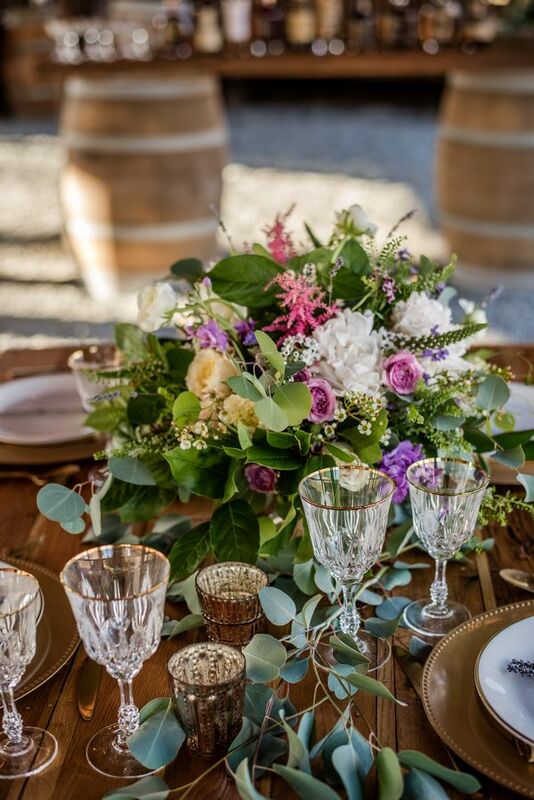 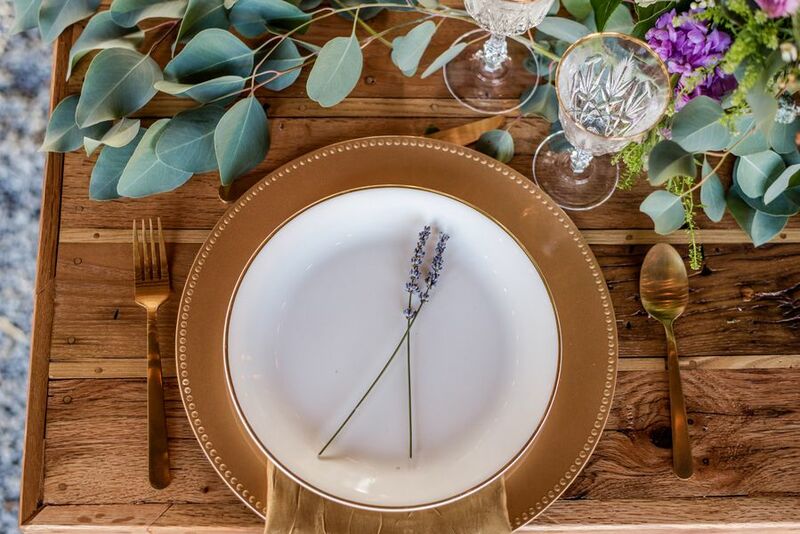 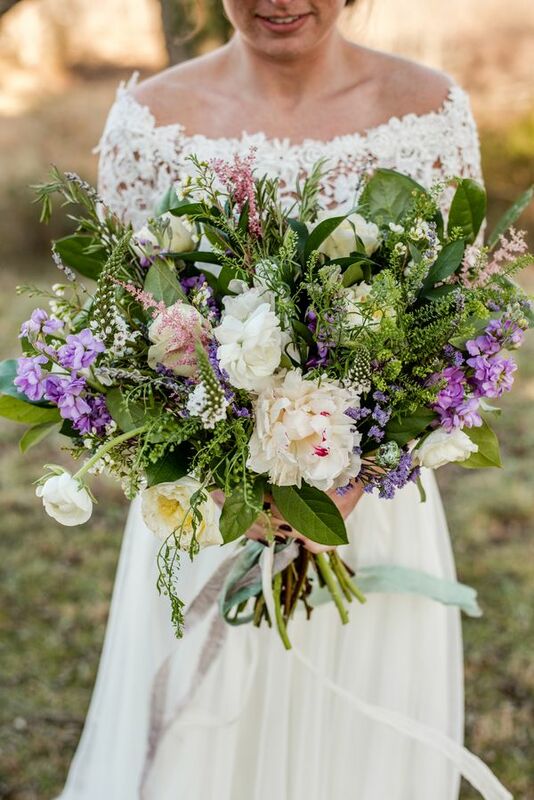 "Her bouquet and centerpieces were very textured and contained rosemary, thyme, and lavender." 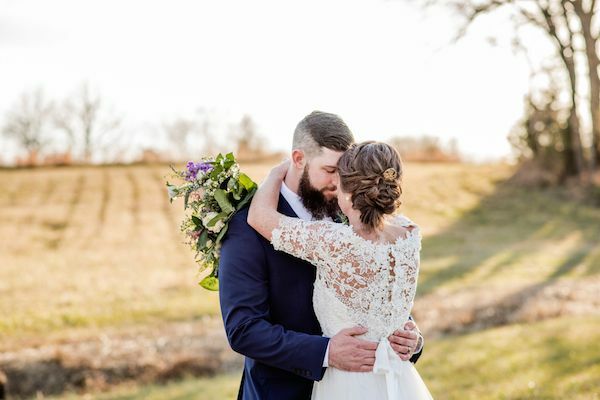 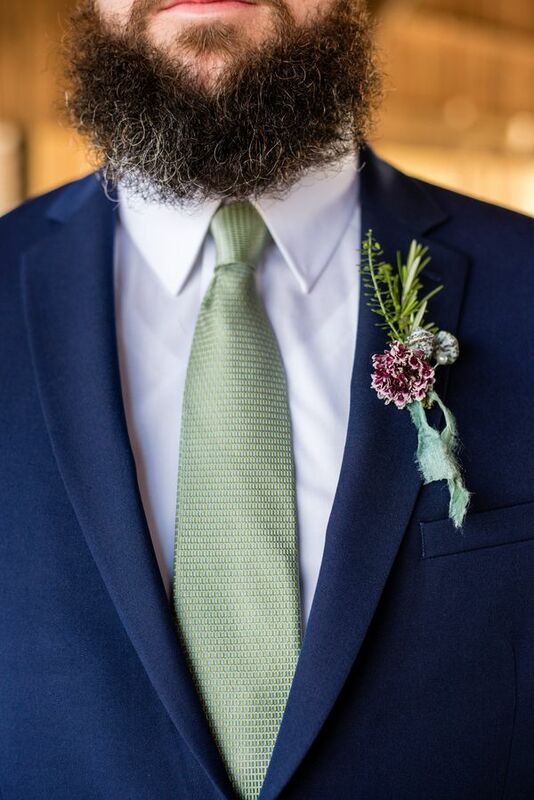 "The reason for this is because a traditional Irish bride carries a bouquet of wild flowers mixed with herbs to symbolize her fidelity to her new husband. 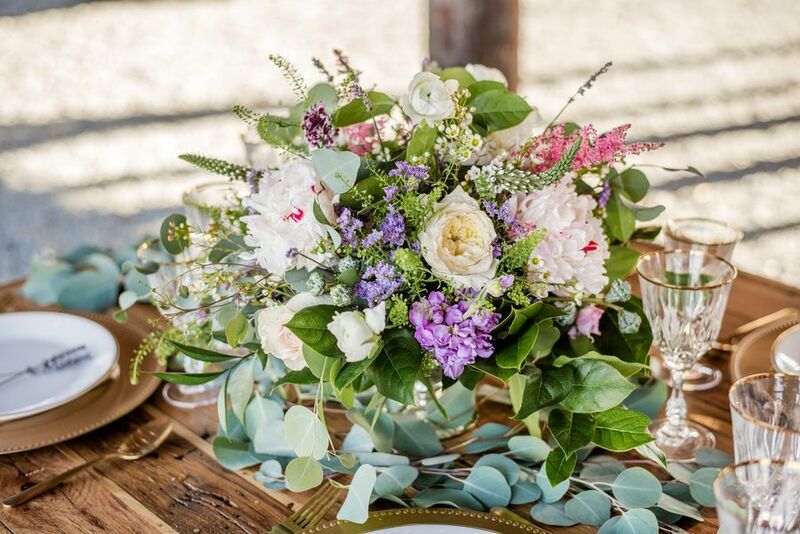 The lavender is a symbol of both love and devotion." 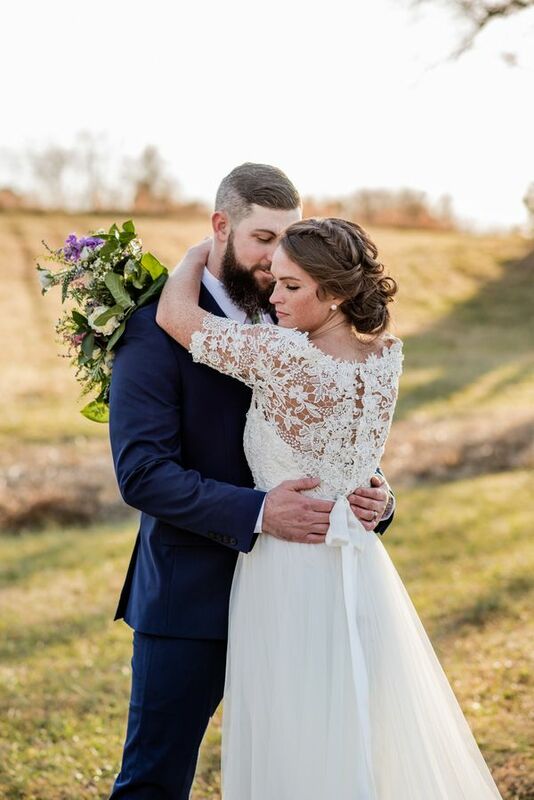 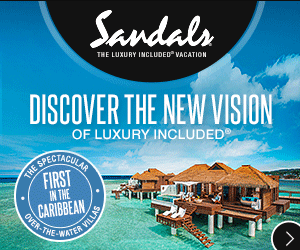 "One last very significant detail was our super sweet models actually got married the day before the shoot! 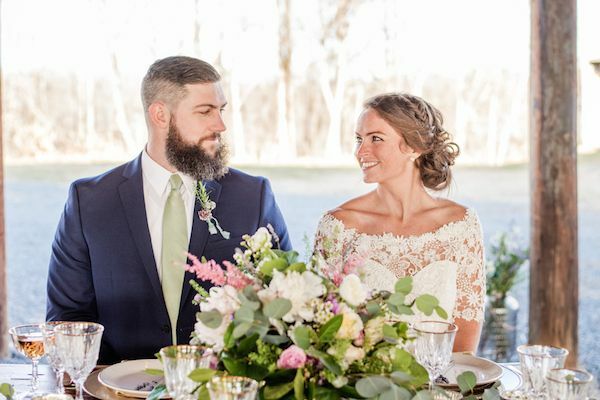 They were both on cloud nine over their recent marriage and were glowing with love!" 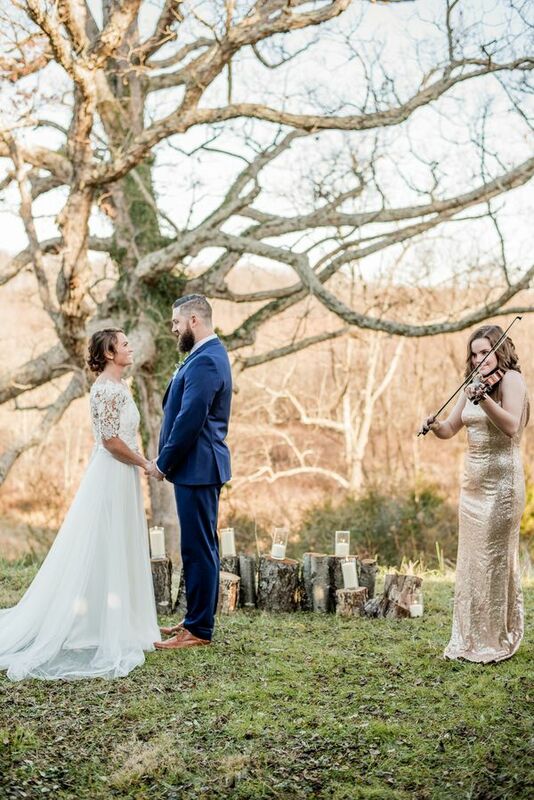 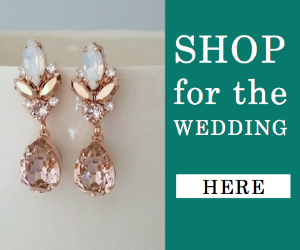 4 Comments " A Rural Irish-Style Wedding with Emerald and Gold "